A Chicken's Tale - The Film! 'A Chicken's Tale' - The Film... made with our Reception children and their parents is now available to watch on Vimeo a video sharing web based facility. Please click on the following link http://vimeo.com/81403801 . This project was just one outcome of the scheme based on our Chickens in the Early Years Unit. 32 families participated in this scheme alongside their child (with the artist Fabric Lenny) and we have received many wonderful comments from the parents involved. The project was funded by The Big Lottery through their Awards for All scheme. 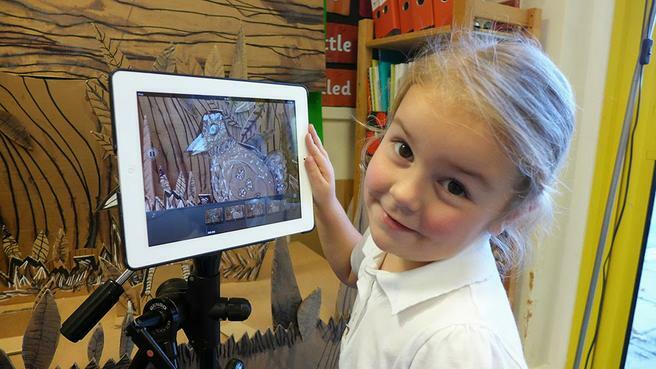 The one minute short film was made using an iPad, which the children operated.